Tina Spear's expertise in commercial and residential leasing goes back to 2002, working as office manager at an apartment search company in Boerne managing for 5 property managers in San Antonio, Austin, Round Rock, Louisiana, and McAllen. Her journey to commercial leasing goes back to 2013 working in the retail leasing industry in the San Antonio area. Prior to joining the brokerage, Tina was property manager at Triangle Park in San Antonio. Her tasks were to over see 75,000 sq. ft. of office space, assisting tenants on their needs, taking care of the billing, the marketing and the showing of available spaces. While there, she brought the commercial building tenant capacity up to 90%. 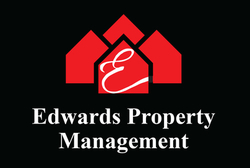 She brings years of experience in commercial and residential property management to D. Lee Edwards Realty as Edwards Property Management's leasing agent. Give Tina Spear a call for your residential and commercial lease inquiries.